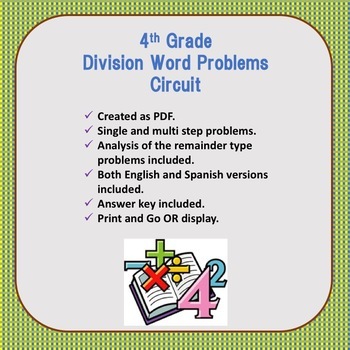 Division Word Problems Circuit- English and Spanish cards. This circuit cards includes two sets of cards: one in English and another Spanish. Multi and single step problems including how to handle remainders.